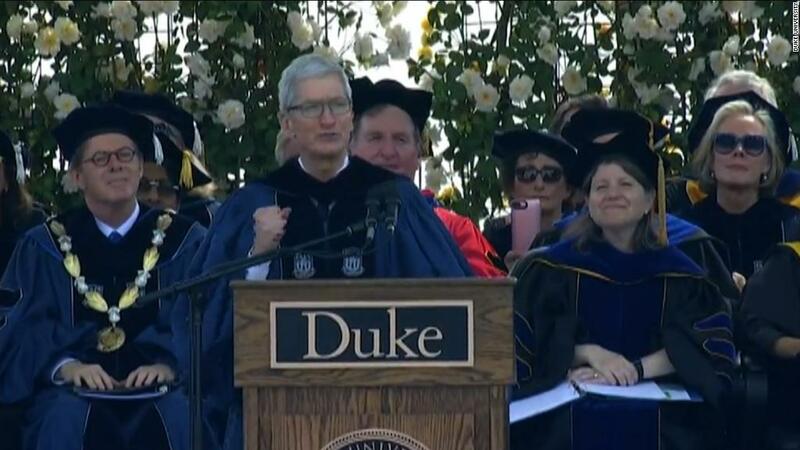 During a commencement address to Duke University Sunday, Apple CEO Tim Cook used some well-known platitudes, telling the students to make brave choices, rise to challenges and be unafraid to break with conventional wisdom. Cook on Sunday again aimed to paint Apple's (AAPL) handling of user data in stark contrast with Facebook's. He credited Apple co-founder Steve Jobs with instilling within the company the drive to do things better.